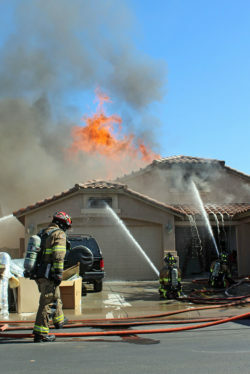 A house caught on fire in the 44900 block of West Buckhorn Trail in Alterra Monday afternoon. 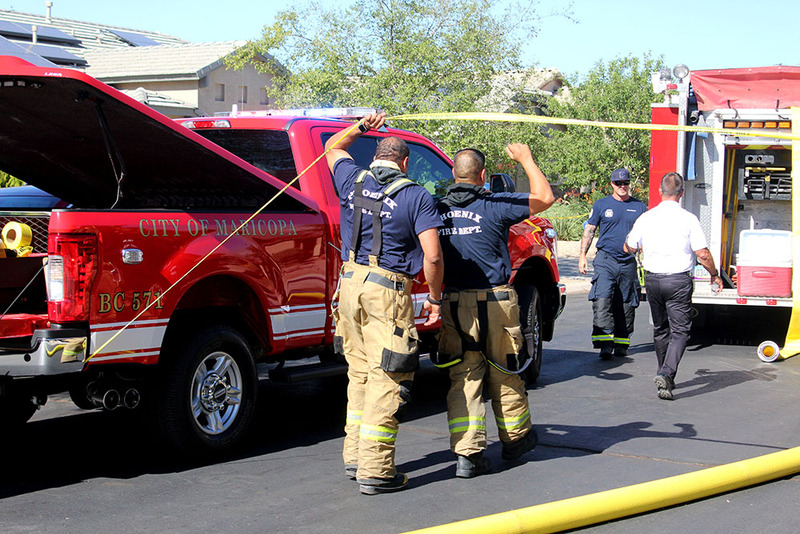 There are no reports of injuries. 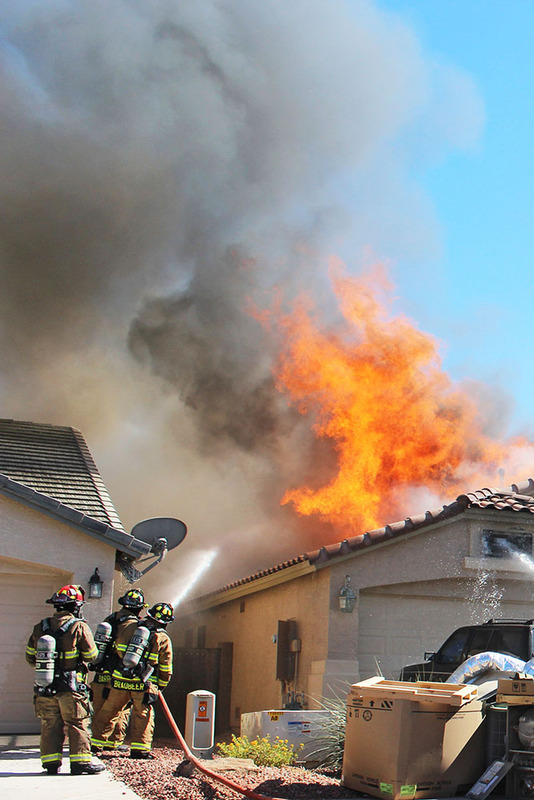 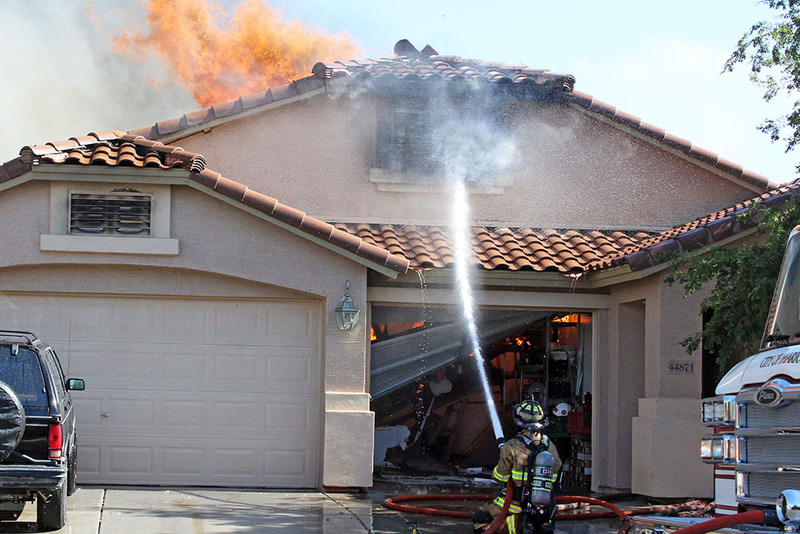 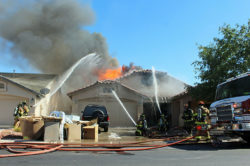 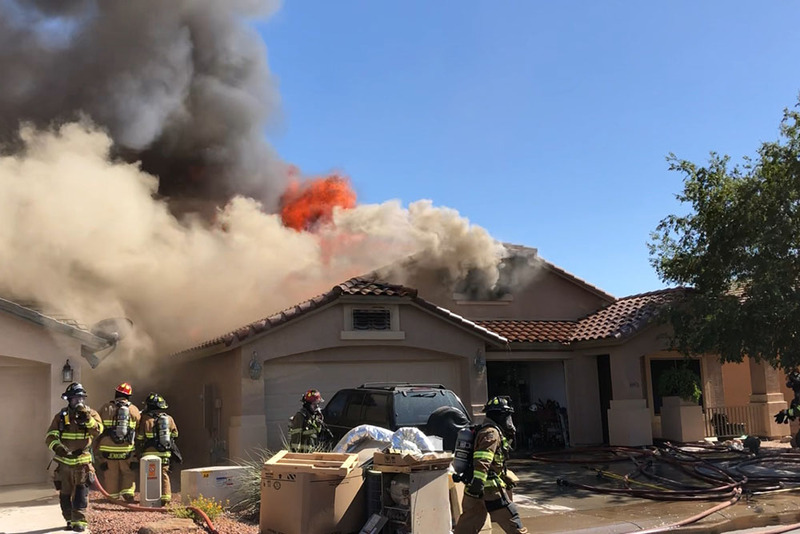 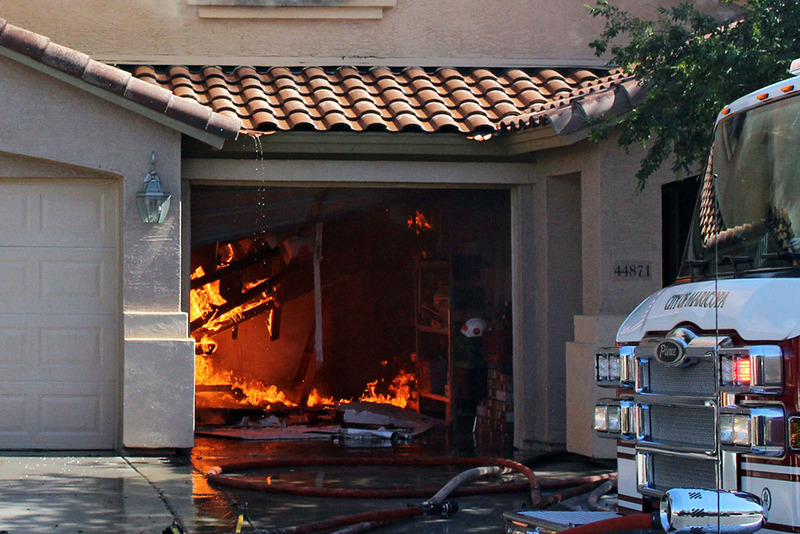 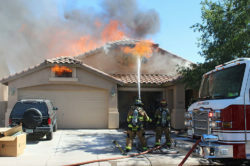 Workers were load testing a new air conditioning unit being installed at the house when the fire broke out, according to Maricopa Police Department spokesman Ricardo Alvarado. The fire spread to the roof, where flames were visible. 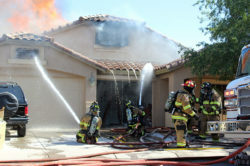 Up to four people were evacuated from the house. 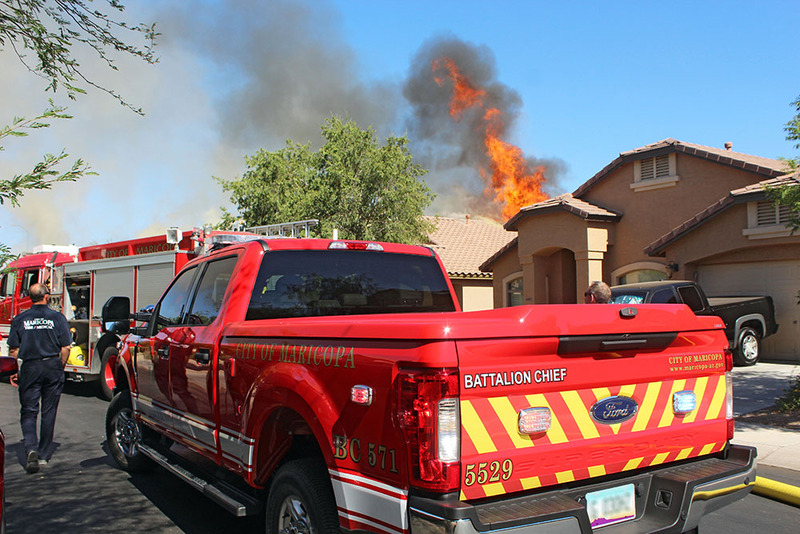 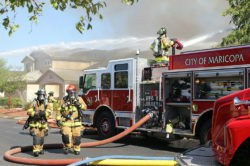 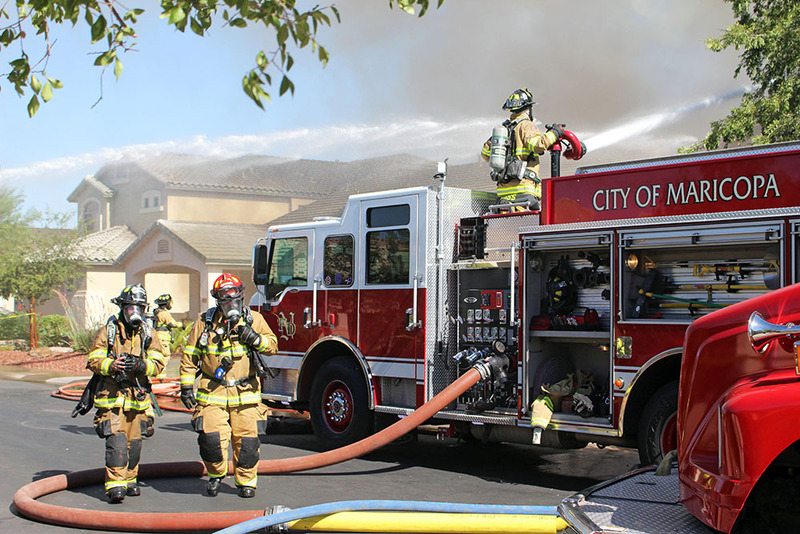 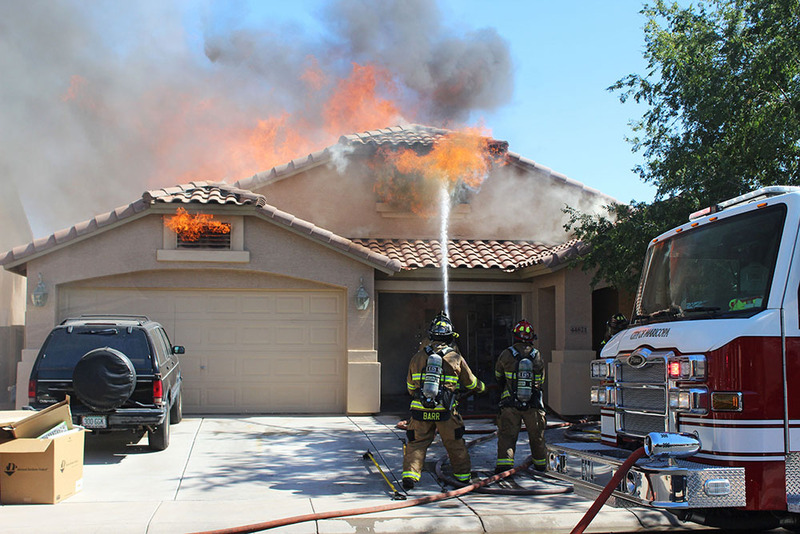 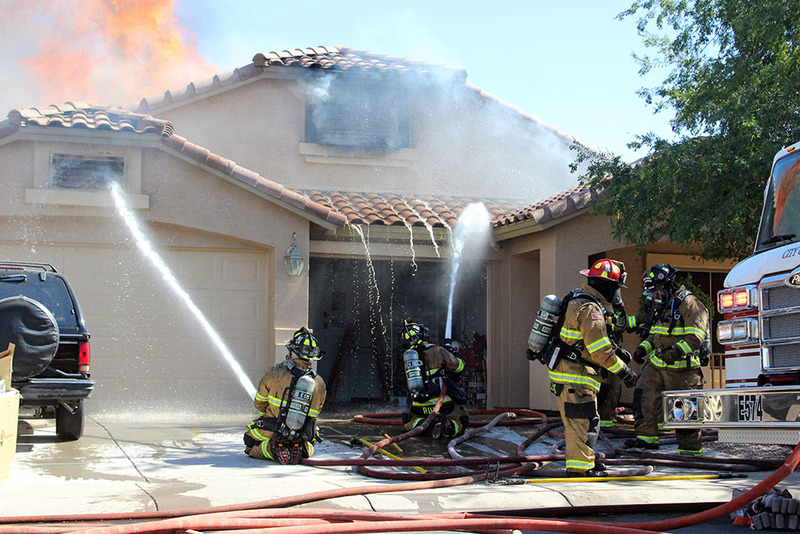 Firefighters with Maricopa Fire/Medical Department responded to the scene around 3:45 p.m. Units were also dispatched from Chandler, Sun Lakes and Casa Grande. 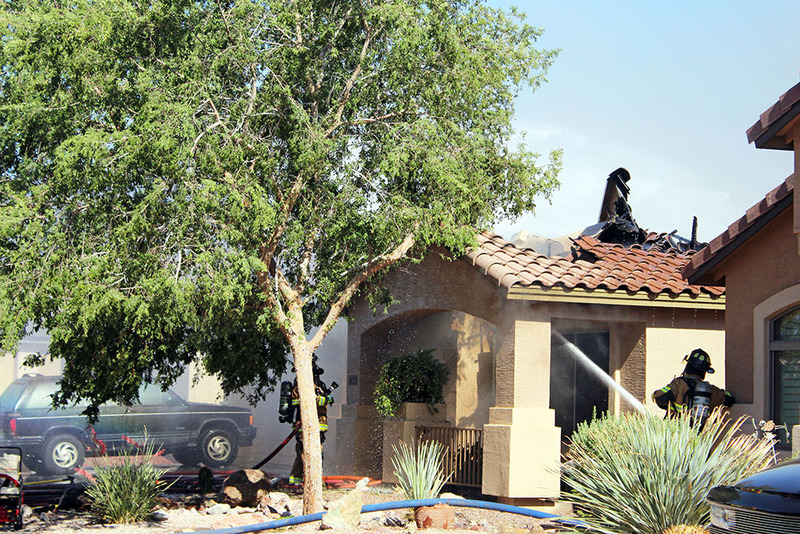 With increased winds, firefighters went into defensive mode to protect surrounding homes as the roof fell in.